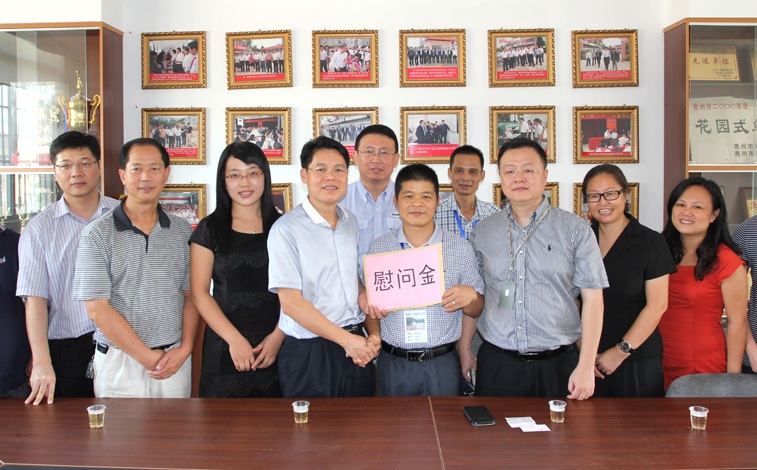 A sympathy mission of KTC and other enterprise representatives led by party committee, management committee director----Liu Jianbiao of Huizhou South science and technology industrial park, visited three primary school teachers, brought them holiday blessing and sent them sympathy money on Sep 10. We visited central primary school, Yan Da primary school and Mu Li primary school, representatives visited each school and knew school's teaching facilities and teaching situation in detail and talked with teachers. Our company arranged employees' children to enter the school nearby, and thanked for settling employees' trouble. Each school administrator said they thanked for the support and help for educational work of management committee and each enterprise, the schools would settled employees' children entering school trouble, let every children study well in school and tried their best to create a good learning environment for children. 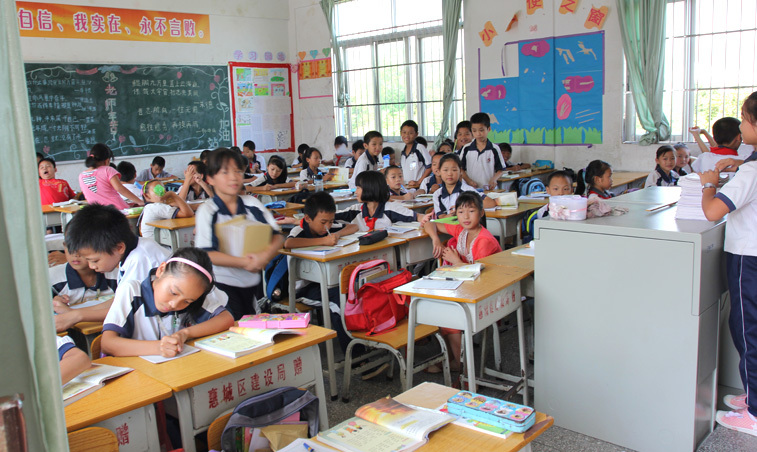 It is expected in October this year, our Huizhou south KTC industrial park will go into operation, there will be a part of employees transferred to Huizhou, employees' children will follow their parents to Huizhou to go to school. For convenience for employees' children to study, our company applied to the Huizhou south management committee to help us to solve the problem half year earlier. Children's study problem received high attention from our company and Huizhou south management committee leaders. Our company related department and head of management committee continued to follow up application, through coordination of various party, we settled the study problem of our employees' children. After this visited activities, to further strengthen the communication of our company and nearby schools, provided a good foundation for settling children's study problem.